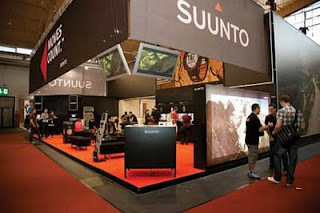 Suunto, locally distributed by Ultimo, showcased their latest fitness monitor, Quest, which enables you to create your own training programme, download it into the watch and share, plan and analyze the results at Movescount.com. The watch monitors your heart-rate, speed, distance, running cadence, intensity, recovery and laps in real time. The Suunto Quest can be used with an optional foot POD, bike POD or GPS POD.